Grab a digital ad for your social media sites. Use a high-res print ad for your cable guide or other printed materials. 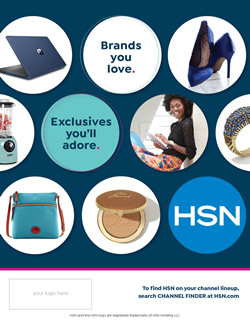 Our tune in ads are the perfect way to get your subscribers to tune in to QVC®, QVC2℠, HSN, or HSN2 while helping you maximize your commissions. Traffic: may be used at any time. Description: Get in on the foodie fun. 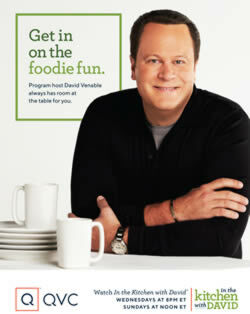 Program host David Venable always has room at the table for you. Watch In the Kitchen with David®, Wednesdays at 8pm, Fridays at 7pm, and Sundays at Noon ET. Download: Windows - right click on a link below, click Save Link As. Mac - hold control button, click on a link below, click Download Linked File. Description: Brands you love. Exclusives you'll adore. Description: The best of HSN. Watch encore airing of your favorite shows and brands. Description: Pass the remote. See something you love on air? 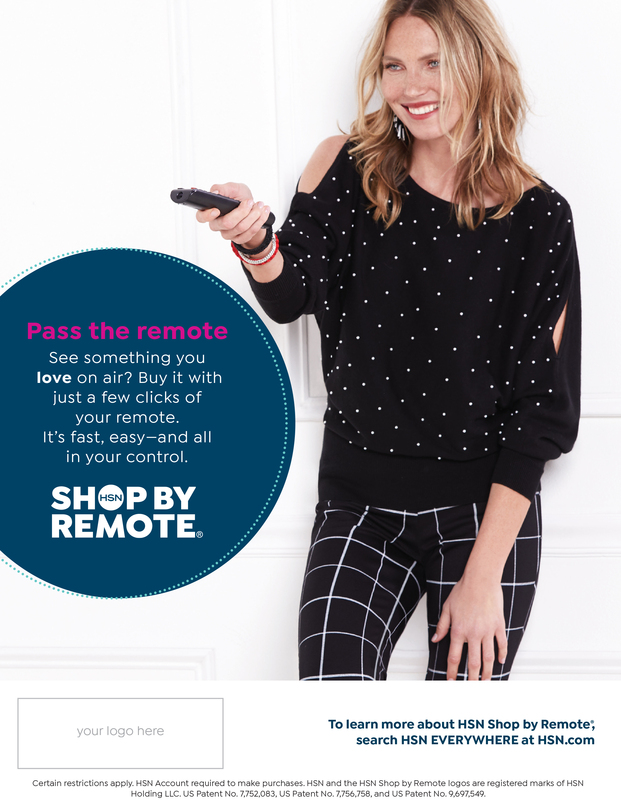 Buy it with just a few clicks of your remote. It's fast, easy—and all in your control. Can't view the high-res print tune in ads? Download the latest version of Adobe Acrobat Reader here. Need a different tune in ad size? Contact your Qurate Retail Group Networks representative with your specs.